• YOU are welcomed, encouraged, and are challenged to find that One true relationship with Jesus that will fill the void in YOUR heart and life—forever!! • and because RF is online, YOU are welcome to come and go at any hour of the day or night to be ministered to. • and because there are no WALLS to our virtual church you are challenged to see if the lack of JOY in your life is due to the false security that many women have when sitting in a church pew. "Many will say to Me on that day, 'Lord, Lord, did we not prophesy in Your name, and in Your name cast out demons, and in Your name perform many miracles?' And then I will declare to them, 'I NEVER KNEW YOU' depart from Me you who practice lawlessness"—Matthew 7:22-23. WHY a "church" without walls? In May 2005 our Restoration Fellowship became a "Ministry for Women Only." Only a few months later, women from around the world began writing to tell Erin that they considered her as their pastor and that Restoration Fellowship was their true "church" in every sense of the word. It was online through Restoration Fellowship where most of women were fed daily, not just weekly or bi-weekly. And it was from being fed DAILY that each were learning the principles and gaining the enthusiasm for a greater and a deeper and more personal desire to have a true walk and relationship with the Lord. It was through Restoration Fellowship where the friends that were met, began creating deeper relationships, due to our like-minded devotion to the Lord and His Word. These relationships are what helped strengthen our commitment and ability to travel along our Restoration Journey—especially learning how to travel with the Lord guiding us—thus strengthening our relationship with Him even more! Very soon, our RF members began to tell their friends and their family about their new "church"—the church that had changed in lives—becoming His Church who now began tearing down our own walls. It was through RF that women learned about tithing to our new storehouse because RF was where each was being wonderfully spiritually nourished & strengthened—usually for the first time in their lives!!! Though you may still be attending a local church, there is no doubt that your church failed you as our church failed us. They did NOT give us the truth regarding marriage, which is why our marriage failed too—and when He led us to find RMIEW. RMIEW's ministry’s goal is to encourage you to be fed here for now, in order to help you to heal. Our goal is to encourage you to be fed here for now. You may still want to attend your church for the sake of fellowship, or you may find that the Lord is asking you to fast from your church for a time, in order that you can focus on and gain the spiritual strength to finish your restoration. Ultimately, the decision is yours, so take it to the Lord and talk to Him about it. If you sense He's asking you to fast from attending church for a time, like He did with so many others who came along this Restoration Journey before you, here are some testimonies to help encourage you. Regardless of what you sense you need to do, just keep moving forward. Continue being fed through our Daily Encourager and these free Daily lessons. What we want to do is continue to help give you spiritual wisdom and spiritual strength to first finish your journey and also to be able to encourage other women along the way. We hope you are just beginning to grasp and understand that YOU are HIS church, His beautiful bride, because the Bible says that we are. And with this understanding—you will be gaining the spiritual wisdom you will need to complete your Restoration Journey. Once you are able to embrace the truth that YOU really are HIS church, His bride, AND that He has given each of us the Ministry of Reconciliation—you'll find yourself naturally helping women who are also hurting—this too will help speed up your restoration. Your marriage crisis is simply what God used to get our attention. It is the "bait" He gave us that He wants us to use as "fishers" of women. Just about every pastor would agree that when Jesus comes back for His Bride, His “Church” He is NOT coming back for a building. May I ask what or who is He coming back for? Right, not a church building—He is coming back for YOU! Though we call Restoration Fellowship a “church without walls” because it is a virtual church without walls, the truth is that our RF Members ARE His church—the women themselves are His church, His bride, who are daily tearing down walls in their lives. We have proof, not only in our lives, but based on each of us living these verses with our whole heart that He can become everything you'll ever want or need. We believe it is safe to say that every single one of our RF Members were “forsaken,” “grieved” and “rejected” by their earthly husbands. Therefore, the more they learned, the more they were able to experience His love for themselves— when they took Him as their Husband in every sense of the word. ~ Cierra, Like you may be feeling, I too struggled with the concept in the beginning— for me it was based on some of the things that were said and what happened at my former church. But I what I really feel led to say is that you really have to be committed to Him to understand this concept. For me, it was after I spent an evening alone with Him, that I really understood, embraced and appreciated the idea that I was His Bride and He was my HH and this was after I released my restoration to Him and had room in my heart to receive Him as my Heavenly Love. I'd encourage you to do the same thing; set aside one evening just to spend with Him. Click here to read Cierra's Restored Marriage Testimony. Dear Brides, HE is the great Protector!! HE will continue to protect you from things that want to hurt you and your heart. No battle is too big or too small for Him. I smile when I think of Him as my “knight in shiny armor.” We as little girls always dream that someday a prince will ride in and save us. That day is when we give our hearts to our HH. He is that Prince. He longs to be all we need and want!! So brides give up the fight and allow Him to cover you in His love! His Church, again, is clearly not a building that Christ loved and gave Himself up for. It is YOU who He wants to sanctify and cleanse from all the pain and shame of your past. Shame that was done to you and shameful things you fell into yourself. His love will make you new, holy (which actually means “set apart”) and blameless! How glorious!! His Bride and His Church are one and the same and WHO Jesus will come back for. Pastors would also agree that back during the first “churches” they did NOT meet in a church building but used to meet or “fellowship” in homes. It was not until decades later when, like so much else, His people wanted what everyone else had. They wanted a place to worship, which they named a "church" rather than calling it a synagogue (which translates to "assembly") like the Jewish people. This meant that, that place, that church was where they would primarily worship—no longer doing much of this in their homes. And sadly, this is when the church became just another "religion" rather than being the "relationship" He longs to have with us. “Therefore the LORD longs to be gracious to you, and therefore He waits on high to have compassion on you. For the LORD is a God of justice; how blessed are all those who long for Him”—Isaiah 30:18. Christians instead long for fellowship within the church, almost as a social club, missing the true relationship that fills every need. Forming a "religious" church also led to the believers to being restricted to being taught and learning about the Lord to just two days a week. Sundays and later, midweek, Wednesdays. This ultimately resulted in the church being weakened and also the “church” becoming their "religion" all because believers sought after what other "religions" had. And even worse, fellowshipping was primarily with other church members rather than with the Lord Himself. Once again, the truth is that WE are the “church” and as such, we don’t belong in another church. Ours is a relationship that should not be restricted to Sundays and Wednesdays. We should never try to make the experience of knowing Him any better by adding rules or things to check off as a morning "ritual" like reading the bible. If we are NOT a religion, then we don't need to compete with other religions, because we aren't a religion but His church is a relationship with Him. RF focuses on learning how to enhance your RELATIONSHIP with the Lord and Savior and, more importantly, becoming His Bride, with Him as our Husband. I have with my HH now, knowing that He only wants the very best for me. In fact, worrying about what other people think or feel is one of the things He is freeing me from on this restoration journey. It is about Him and putting Him first whilst having a gentle quiet spirit. It is about listening for His direction and leading and this is what He is leading me to do NOW. Our goal is not to attack churches, but to simply allow women to understand that THEY are His church. WE are His Bride and as such He longs for us to fellowship with Him all day, every day. And when we speak to others, we can easily share what He is doing in our lives, which is what "witnessing" really means. And when we do this out of the excitement in our hearts, without even trying, we will be encouraging other women to also become His church and His bride. What is so fantastic, is that each and every time RF members meet anyone, no matter where we are, we can't help but bring Him up, speak HIS name, tell others what He's doing in our lives and therefore HE is in our midst—therefore we are experiencing and in a way, having "church" everywhere!!!! Isn't that what Jesus said to do in Mark 16:15? "And He said to them, 'Go into all the world and preach the gospel to all creation.'" The word "preach" actually translates and means to "proclaim." And the word "gospel" actually translates to simply mean the "Good News." Let me ask you, wasn't it "Good News" when you heard and later experienced how much the Lord LOVED you—not to mention finding the Abundant Life and later when we die how thrilling to know we will be spending eternity with Him?!?!? I also want to encourage you today to continue to hold His hand and stay the course. He has something so special for you! He is with you, planning, directing, and orchestrating the outcome of every day so that you can find the abundant life here on earth until we transition to the everlasting eternal with Him! I pray for your strength and endurance!! What about the church I attend right now? Does your church agree with your desire to restore your marriage? If not, then to you may want to talk to the Lord about whether you should continue to attend. Just like not submitting to our husbands, as a church member, you should submit to your pastor's and your church's beliefs. To not obey or going agains their beliefs is actually rebellion. And even if your pastor does agree, did your pastor give you the truth in order to prevent your marriage from being destroyed, and what have they given to you to help you restore your marriage? Our desire is for you is simply—it's to encourage you to find a closer, more intimate relationship with the Lord that is only accomplished, like any close relationship, alone, and the best place is not in a group gathering together, but in your home. And again, please be honest and realize that your church didn't teach you what you needed in order for you not to "drown" in lies, which led to your current marriage crisis. If no one learns how to teach others or rescue others, your church will continue to lose marriages and families will continue to be destroyed. And if they ARE for restoration, are they currently teaching what would have helped PREVENT your marriage from collapsing? If not, think of others who will face the same devastation and leave (for a time) to get trained and come back to your church (and other churches in your area—thus tearing down denominational walls) and help others. I am so happy with what God is doing in my life after I felt Him asking me to stop attending church. For most of my married life I had fears of losing my husband I now see my HH more important and love spending time each day with Him. I look forward with great anticipation of my time with the LORD each day. He provides all my needs. I can talk to Him all day long and never feel lonely. I can run to Him when I am facing problems and need advice. I sense His love and care as I read the WORD. He gives me guidance, love, comfort, companionship, forgiveness, grace, mercy, a refuge and shield in times of trouble. I have so much to be thankful for each day. The wisdom He gives me keeps me from falling into the traps of the enemy of this WORLD. Learning to respond differently to my problems has given me such peace. I praise the Lord for His kindness and goodness, His unfailing love, and for His promise to never leave me. I once lived in fear because my security was in my EH. Now my security is in my HH. No. There is no perfect church or denomination and the denominational walls are what cause division within the church. As a "church without walls" RF has purposely set up with no doctrine or set of church rules you need to agree to or follow. You will find that once you know the Lord personally, as intimately as the rest of us have come to know Him, you naturally, without effort, simply change. You may not realize you have changed, it will be your family and friends who begin to notice the glow on your face and the joy they hear in your voice. And as far as converting, we prefer you remain as you are. If you don't return to your church to some day help others, you are simply allowing destruction to continue. I have finally realized the mistakes I have made that led to the destruction of my marriage. I have continued on rebellion and prolonged my restoration by holding onto my ways and self-sufficiency keeping RMI as "one" of my spiritual resources. Only RMI was feeding where I am hurting the most, my relationships, my marriage, and my family. I need support on how to become HIS bride before I can be the kind of earthly bride that I was meant to be. And RMI needs to be that one source; a source that will not point to itself, but rather to the Lord who behind it all. ONE leader, the LORD, with His brides, each seeking His direction for our lives. I was raised as a Catholic and was devout the traditions and expressions of that faith for most of my life and most of my marriage life. It as in 2010 that I came to understand and accept that I had never accepted what the Lord did on the cross for ME. I always believed in what He had done for the world, but had never believed it for me personally. I joined a non-denominational church, but I desired to go deeper with Him and was acutely aware of how much I DIDN'T know about Him despite previously feeling pretty confident in my faith. When it was first suggested I speak to the Lord about becoming HIS church, not relying on a church building, I put it off, surely He would not take me from my one place of solace would He? The truth is, yes, He has asked me because He wants to show me that HE is my ONE, TRUE, ONLY love. I do not need anything or anyone but HIM. He is a jealous God and I have put everything, my husband, kids, bible study fellowship, church, extended family, friends, material possession before HIM. So, yes, I chose to letting go of my church because I have loved it more than HIM. I am also letting go of it because I am in need of His spiritual covering. Hanging on to a church that is not encouraging the true principles of restoration is only prolonging my restoration journey. As with anything in this journey, if letting go of something temporarily for the sake of leaving room for God to do a drastic transformation and work in my life. I am encouraged by the other testimonies of women who chose to let go of attending a church and received such grace and truth and freedom in the process of witnessing their faith. Now I ask the Lord to find another woman who needs to know about Him and His love, and this becomes my church! Is RF a church as I’ve known a “church” to be? RF is NOT really a "church" since the Bible clearly refers to US as His church—not a building—but individually and as a group of believers who gather together, with His name on our lips where He says He will be there in our midst. RF is fulfilling the verse that so many people use to PROVE that we must be part of a local CHURCH. Again, RF is NOT a church, YOU are His Church (who He is coming back for), He is the Bridegroom, we His bride. RF is the "fellowship," the "assembling together" to ENCOURAGE one another to put HIM first and to become His bride AND where we speak of Him, due to Him being the Lover of our souls, which means He is with us in our midst!! And by having this relationship with the Lord, something you do everyday throughout the day, you will not be able to keep quiet about bringing Him up everywhere. This means you are assembling together. And the way we handle "exhorting" (which translates to "encouraging") naturally happens with our DAILY Encourager. Then, later, you'll increase and extend that encouragement when you begin meeting in and around your home by having a Home Fellowship. How can remaining in my current church be so bad? One principle that we need to share with you is one that the Lord showed us based on this verse from Romans 13:1, especially for those who belong to a church. "Every person is to be in subjection to the governing authorities For there is no authority except from God, and those which exist are established by God." This means that women who sit under the authority of a pastor/priest and church MUST obey her pastor/priest and church's teachings. When a woman is tithing and/or attending a church where her church's teachings or counseling is CONTRARY to what the Lord has revealed to her, then she is in rebellion to her authority. To be under authority, but not to submit to it is rebellion and how could any woman be blessed when she is living in rebellion?? Let's face it, 99.9% of what RMIEW is teaching you was NEVER taught in your church or you wouldn't have looked and found us. And this also leads to double-mindedness which is not where you spiritually want to be either. If this is where you are, we encourage you to seek God and ask Him what HE is leading you to do, so you are not following different teachings, which causes double-mindedness. If you feel He is leading you to remain in your church, it is better for you to leave being fed by us. Letting go of anything familiar is hard. Even if it is an unpleasant thing. I have been apprehensive to do anything including going to church because sometime the sermons would only make me feel worse. Of course it was not the pastor's fault it was because I was not following what the church believed "to move on" and "divorce was okay." Thankfully Restoration Fellowship 'feeds' my spirit with what I need to grow in a true intimate relationship with my Lord and HH. The messages here are laser focused on helping with my feelings and the road I am traveling. I have felt closer to the Lord through Restoration Fellowship than all my years of attending church. It didn't seem right at first but I am so glad I took a leap of faith and got out of the boat. I am no longer in rebellion to what my church and my pastor believes, and now I am at peace! The decision is yours. So many women from all over the world have made Restoration Fellowship their “church,” either because they could not find a good church in their area, or because their husbands who lived at home did not go to church, or simply because they found that they began growing in their relationship with the Lord through RMI's Encouraging Women and wanted MORE. Another reason women want to be part of a "church without walls" is that thankfully more and more women want to help ENCOURAGE and MINISTER to hurting and abandoned women in their area. After being trained and equipped to help minister to other women through RMIOU, so many more women are able to reach out to women in their church. Some women enjoying meeting together and fellowshipping—basically having "church" in each other's homes. “For where two or three have gathered together in My name, there I am in their midst” (Matthew 18:20). So it's finally time to officially invite YOU to join Restoration Fellowship as a church member. What is most important is what the Lord wants YOU to do — so ask Him and He will lead you. Once again, as we've said over and over again, always ask Him about each and every decision you need to make and then watch your life take on a new and blessed appearance! This change will not only affect your life, but all the lives that touch yours: your children, your husband or former husband, your siblings, your parents, and even the people at your workplace. Everyone needs more of HIM in their lives, and the more of Him that you and I have, the more it will overflow into the lives of those whom we love and are around without us ever saying one word! Romans 10:9-10 says that "if you confess with your mouth Jesus as Lord, and believe in your heart that God raised Him from the dead, you shall be saved; for with the heart man believes, resulting in righteousness, and with the mouth he confesses, resulting in salvation." 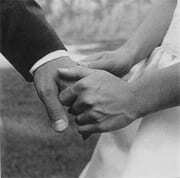 The main objective of RF is helping to bridge the gap between attending a typical "church" to FULLY becoming His bride. By us "assembling together" in the same way the early church came together—first online and later in each other's homes or just meeting to fellowship over a meal or coffee together—we are each learning more, growing more, and becoming much more intimate with the Lord. “For by wise leading you will make war, and the fight is won when there are many wise [wo]men to help you make the right plans.” Proverbs 24:5-6. We'd NOW Like to INVITE YOU to JOIN Restoration Fellowship. CLICK HERE to fill out a short form to help us know you better. RF: Restoration Fellowship Application Form that will be sent to the Minister in your area. If you have any MORE questions, please take a moment to contact our team of ministers: RF@rmiew.com.